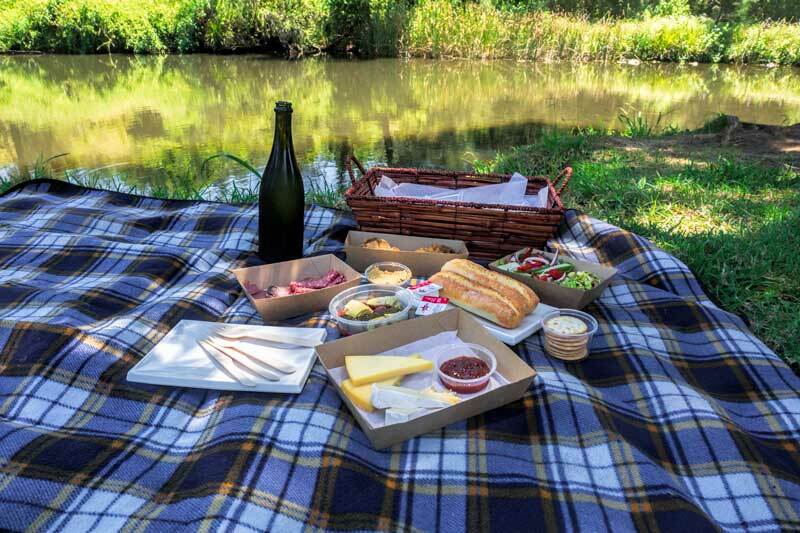 A wine tasting, a gourmet picnic basket packed with tasty local treats and a leisurely summers afternoon to spend between the vines and the creek in the Gold Coast hinterlands. Yes, I'd say life is looking pretty good. Just over an hour after we leave Brisbane we turn into the Canungra Valley Vineyard, home to O’Reillys wines. 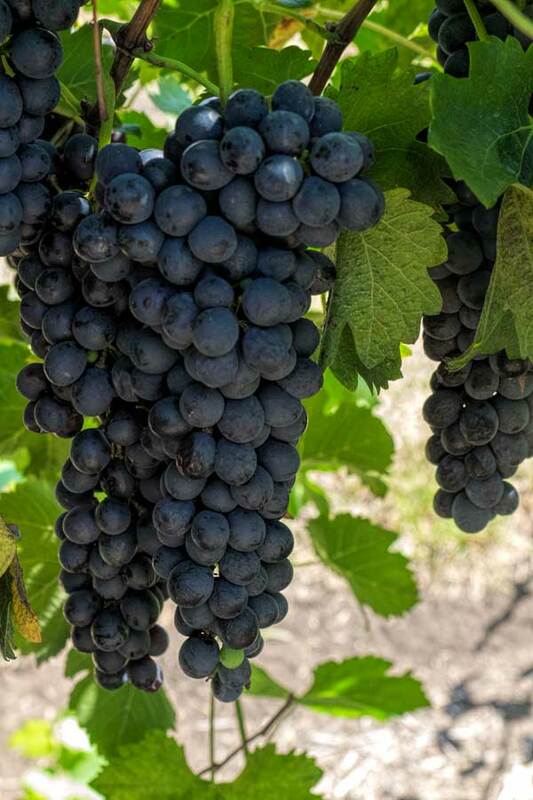 The gravel crunches beneath our tires and we drive on past orderly rows of grape vines stretching out on either side of the driveway. In front of us the heritage homestead looms with dignity and poise looking every bit the grand old lady that she is. Rosie the neighbours farm dog offers up a warm welcome the moment we step out of the car and does her best to distract us from the cellar door by present a very tiny and well chewed stick for us to throw. As tempting as it is to keep playing we get the feeling that she won’t tire of the game any time soon so we do our best to not look into her disappointed gaze and make our way to the door. Inside we’re greeted by Alison, the Event Manager on the O’Reilly’s team and are presented with the wine list to select some options for our tasting. We start with bubbles, the O’Reillys Lona sparkling Semillon. A fresh fruity wine with a crisp finish. I like it a lot, for the price it represents great value. Later as I’m taking to one of the wine club members (extended family as they call them around here) she tells me the secret recipe for her signature cocktail – Lona sparkling and a nip of Midori. It’s a vibrant colour, looks tasty and most importantly for my cocktail making skills it sounds simple to mix. I’m thinking it could be a winner for a St Patricks day celebration. We try a few more of the whites before progressing on to the reds. The ‘extended family’ had been out to the vineyard the previous weekend for the verdello harvest. On harvest days 150 people start picking grapes at 6 am and it’s all done by 10 am. Then it’s time to relax and enjoy a social breakfast gathering. It sounds like a lot of fun, I must look into that for next year. In honour of the new seasons vintage about to be produced entirely from grapes grown on the Canungra property we try the Estate Grown Vince Reserve Verdelho next. It’s full of tropical fruity notes as a Gold Coast wine should be. We finish working our way though the wine list with a few more whites, a selection of reds and if you’re up for it the tasting is rounded out with a splash of Pete’s port. After a little more chatting we’re introduced to Kevin Murtagh, Viticulturist for O’Reillys who takes us for a walk through the vines. As we walk he explains a little about the VSP method used in the vineyard to support the vines for good fruit exposure and the impact of the right drip irrigation for the location and variety. It’s always interesting to learn more about what’s behind your favourite tipple. By this time we’ve worked up a bit of an appetite and it’s time for lunch. 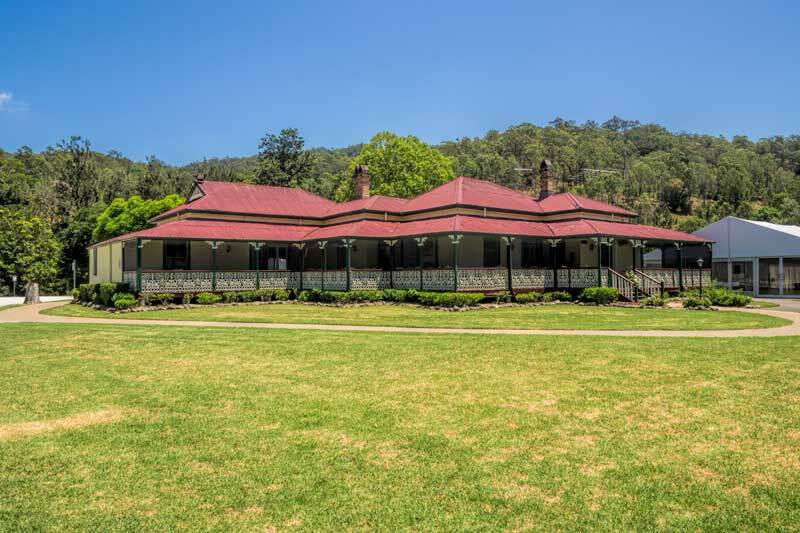 We collect our picnic basket, blanket and drinks from the cellar door and head off across the lawn towards the creek. There’s only a few of us here today but the space is huge which is just as well as we understand that on peak days like Mothers Day it can be packed. 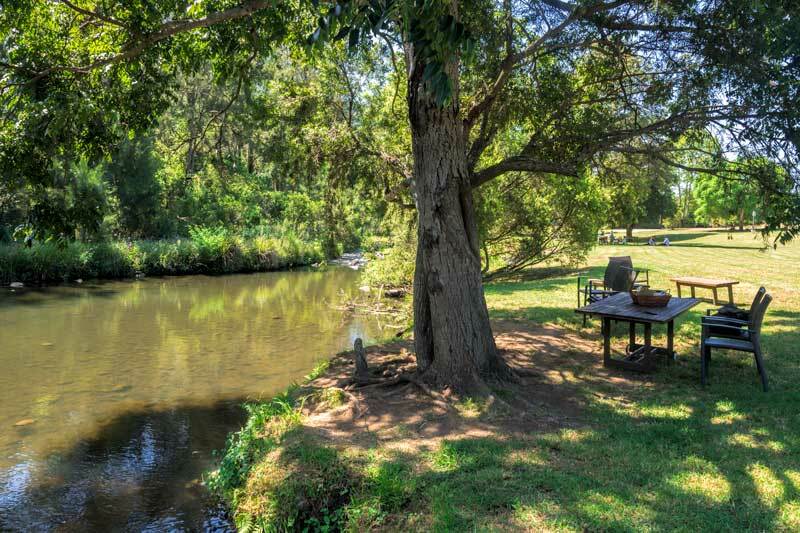 We pick a spot right on the rivers edge and lay out our blanket but there are also picnic tables if you prefer. The hamper is loaded with goodies sourced from around the local area. A selection of deli meats, fried chicken, two different salads, antipasto, bread, crackers, dips, cheese and chutney. It’s a all deliciously fresh and a generous quantity for two. We pick our way through the selection as we watch the turtles and fish in the river. There have been platypus spotted here on occasion so we keep an active watch just in case but it’s not to be today. There’s no need to hurry so we relax and take our time. We wander down river a bit still watching for our elusive wild platypus, I know I’m going to find it one day. When we return our empty hamper inside we’re asked if we would like our ice-cream now. No matter how full I am it’s ice-cream right so we take a cone each and head back out to the riverside and loop around for a walk back around the vineyard before we head back to the car and make our way up on up the mountain to our next stop at O’Reillys Rainforest Retreat and the Lamington National Park walking tracks. 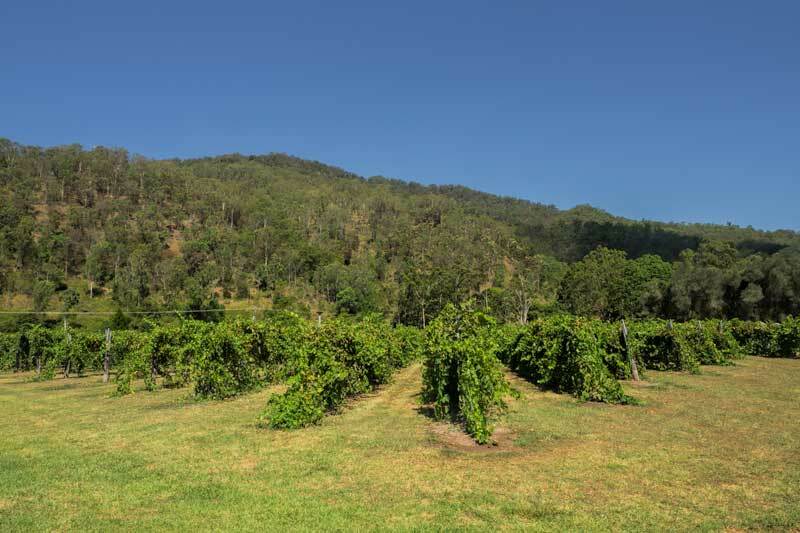 The Vineyard is just over an hours drive from Brisbane city or 45 minutes from Surfers Paradise on the Gold Coast. Public transport is not available but some organised tours do visit. Planning to spend a bit longer in the area? 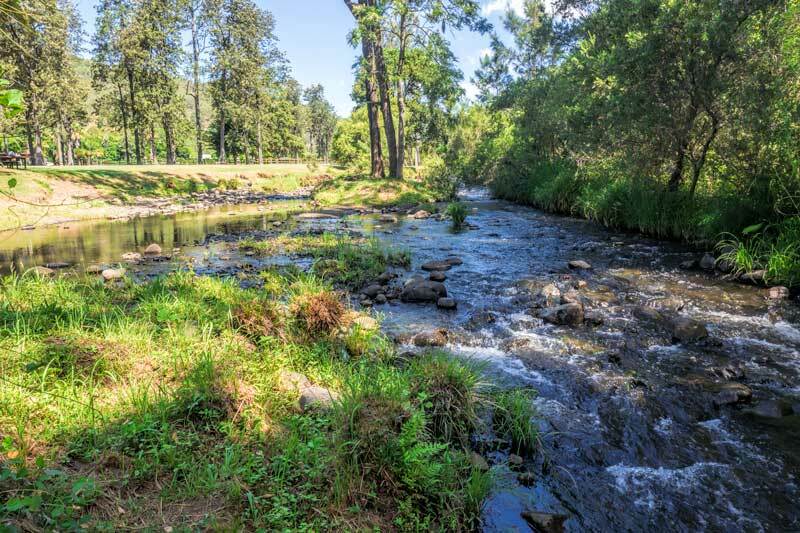 See our articles on staying at O’Reillys Rainforest Retreat and explore the area further with short hikes in the Lamington National Park. Open 7 days from 10 am until 4 pm. 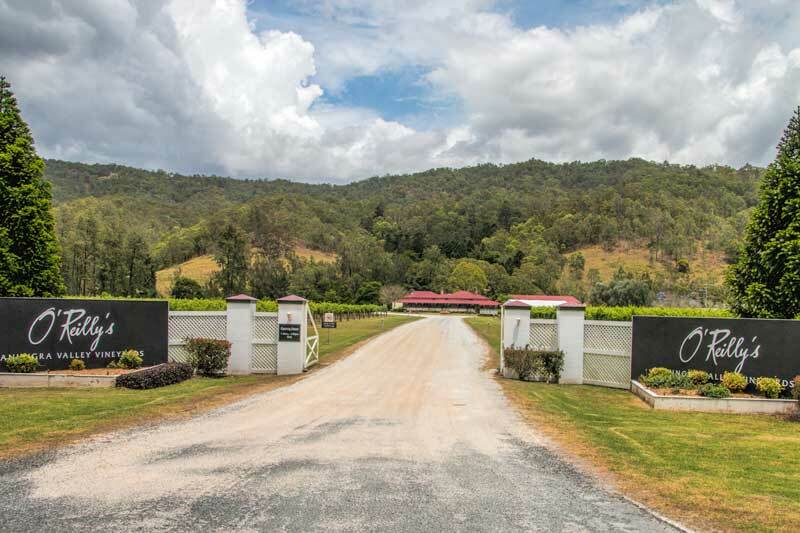 Entry to the cellar door, vineyard and grounds are free. A picnic basket for 2 costs $70 and includes a free wine tasting. The latest visitor information and events are available on the O’Reilly’s website. 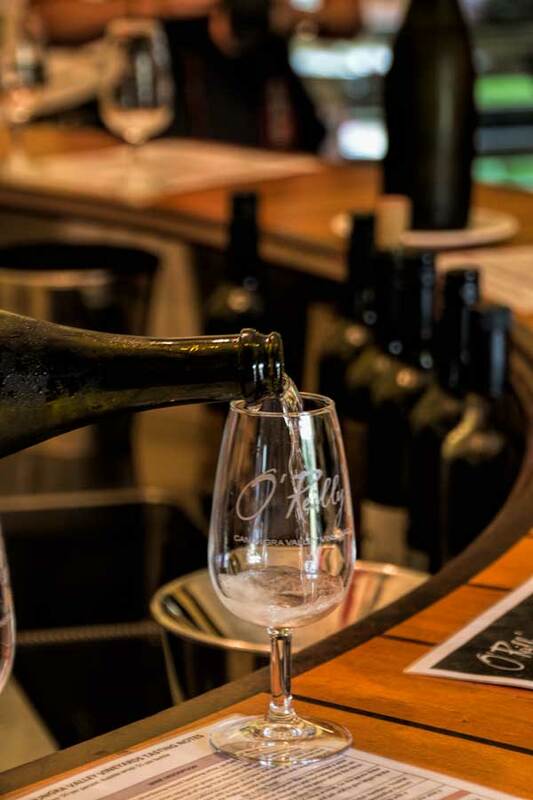 Disclosure: We enjoyed our wine tasting and picnic at Canungra Valley Vineyard as guests of O'Reillys. We purchased our own wine to take home at the cellar door. I too would love to see a platypus Toni. Maybe I should spend more than 1 day in Australia LOL. Just layovers in the past. What a fun time at the vineyard. I recall some fascinating trips through wine country in the Hamptons many moons ago, when I summered in Long Island for a bit.